Subaru Outback headlight problems and complaints cause 2011 Outback owner to file lawsuit. 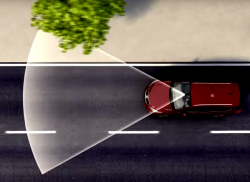 May 2, 2016 — Subaru Outback headlight problems have caused a proposed class-action lawsuit filed by the owner of a 2011 Subaru Outback. Subaru Outback owner Kathleen O’Neill filed the lawsuit after allegedly experiencing numerous failures of exterior lighting, especially the headlights. The lawsuit says O’Neill purchased a new 2011 Subaru Outback and by the end of 2011, the left front headlight had failed followed by the right headlight in February 2012. A dealership replaced both headlights in the new car, but the plaintiff says the headlights continued to fail. According to the lawsuit, exterior lighting failed nine more times causing the plaintiff to pay $317.55. Most of the failures involved headlights, but on some occasions failures included side marker lights, parking lights, license plate lights and turn signal lights. The lawsuit names the 2010-2011 Outbacks as the cars with exterior lighting that often fails because the lighting systems cause interference with other parts within the lighting assemblies, causing too much voltage in the circuits. The problem is made worst by using the exterior lights in "auto mode," a mode recommended by Subaru. The plaintiff claims the automaker has known about the lighting problems since 2009 but refuses to inform consumers and continues to conceal the alleged defects. The plaintiff says Subaru modified the headlights of the Outback in 2008 because of a constant stream of complaints and made additional modifications in 2010 to the switch assembly, fog lights and rear lights. However, the problems continue. 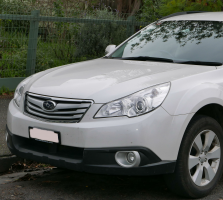 CarComplaints.com has received complaints from 2011 Subaru Outback owners who complain about exterior lights that fail too often and are difficult to change without help from dealerships. According to the plaintiff, Subaru knows about the complaints but won't issue a warranty extension or a recall to adequately repair the underlying problems. The lawsuit alleges headlight problems have existed from the time of sale and continue to occur because the automaker refuses to permanently fix the problems. 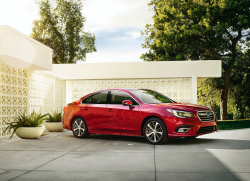 Instead, Subaru replaces headlights and other exterior lights the automaker knows will fail because of lighting system defects. 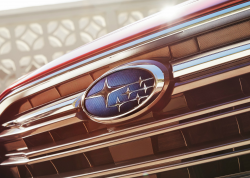 The Subaru Outback headlight lawsuit was filed in the U.S. District Court for the Central District of California, Western Division - Kathleen O'Neill, et al v. Subaru of America, Inc. The plaintiff is represented by Capstone Law APC. 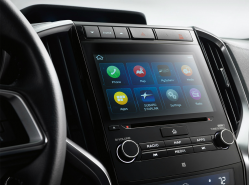 Read about light problems in the 2010 Subaru Outback and the 2011 Subaru Outback.